es·o·ter·ik [es-uh-ter-ik] adjective 1. intended for or likely to be understood by only a small number of people with a specialized knowledge or interest. 2. belonging to the select few. Each Esoterik Guitar is meticulous designed and developed with immaculate attention to detail. These aggressive yet elegant designs came to fruition with the intent to remove all unnecessary weight and obstruction in standard guitar designing while simultaneously focusing on, enhancing and accentuating modern updated luthier techniques. 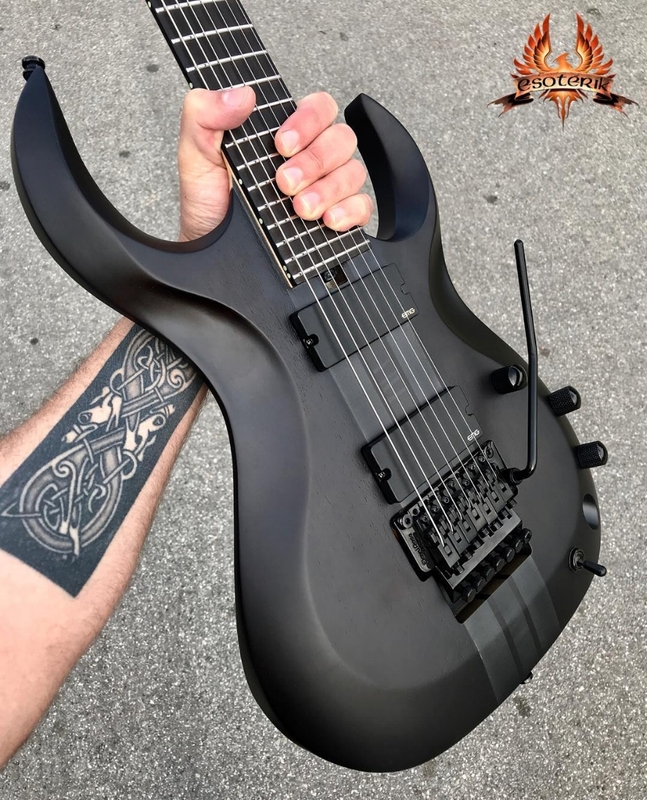 These neck through designs feature beautifully contoured arched tops and concave backs with deep scooped cutaways to perfectly fit the guitar players body and provide a lightweight, super strong, unbelievably comfortable, precision balanced instrument with superior tone. The bold character of these instruments is magnified by years of development to find absolute balance between the perfect neck pitch and ideal headstock angles which provide and hold flawless intonation, unmatched comfort and superb control of each instrument. Unique and specific wood combinations and pickup choices also complement and accentuate the tonal blends for each guitar. Each instrument is then topped off with the very best in hardware and components and receives an impeccable custom setup with your choice of strings and tuning to provide you with the extra edge that you need at home, on stage and in the studio.